BROOMFIELD, CO--(Marketwired - February 22, 2016) - ikeGPS (NZSE: IKE) announces a new software integration for contractors that brings together Spike, a laser measurement solution, with construction iPad app Go Figure for creating quick, on-the-go estimates. This integrated software solution is specifically designed for siding, windows and stone work within the construction industry. Go Figure allows contractors to generate accurate stock lists, estimates and invoices on-site using an iPad. With the new Spike integration, contractors can quickly capture photos of a house using the iPad camera and the Spike device, which produces highly accurate measurements within the Go Figure app. The combined solution eliminates the need for the traditional Go Figure placard, tape measures and ladders and reduces measuring time to a matter of minutes. "We're pleased to partner with Go Figure in an effort to help the construction market better manage the estimating process," says Jeff Ross, chief marketing officer of ikeGPS. "This integration streamlines the entire estimating process from the moment a contractor steps foot on the property to providing the home owner with a detailed, professional proposal. All you need is an iPad, Spike and Go Figure." Contractors can capture measurements via Go Figure by simply taking a picture of a house with Spike and an iPad and tracing the house's areas for measurement on the touchscreen. Go Figure then measures the areas, adds the quantities and creates a worksheet that calculates costs. By taking faster measurements, contractors can turnaround bids quicker, pursue more jobs and increase their close rate. "Spike and Go Figure work together to completely change how contractors take measurements," says Greg Farnell, managing partner of Go Figure. "Measuring used to take hours of manual work, but with the new Spike and Go Figure integration, contractors can record the measurements they need within minutes and with the accuracy they need." For more information on the Spike and Go Figure integration, visit www.ikegps.com/construction/ or www.gofigureapp.net/Home/Spike. ikeGPS is changing the way the world is measured, utilizing its smart laser measurement solutions to capture, record and export measurement data. Numerous vertical industries and field data collection-based professionals use ikeGPS products to modernize the way measurements are taken and shared. ikeGPS's product portfolio includes IKE and Spike. IKE is an all-in-one, configurable hardware and software solution that increases accuracy and quality while reducing costs for electric utilities, communication companies and engineering service providers engaged in aerial fiber deployments, joint-use applications and utility pole-related construction projects. IKE solutions have also been successfully adopted by public safety, civil engineering, transportation, federal and city governments, and intelligence agencies for a variety of field data collection needs. 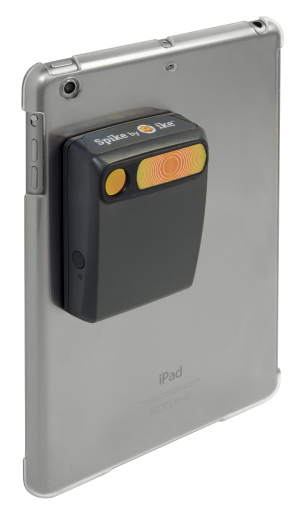 Spike is a comprehensive but simple-to-use smartphone measurement solution. The Spike device, Spike mobile and Web apps, and commercial smartphone or tablets work together to change the way measurements are taken and shared. From a Spike photo, a user can capture measurements, including height, width, area, length and target location. Measurements and location data are saved with the picture and can be easily shared in real time or uploaded to the Spike cloud for further analysis. Spike has been rapidly adopted by numerous industries, including construction, real estate, and sign and graphics for property inspection and building measurements. ikeGPS is headquartered in Wellington, New Zealand, and is listed on the New Zealand Stock Exchange under the stock symbol IKE. The company's global sales, marketing and customer support teams are based in Broomfield, Colorado, with a regional office in Seattle. Go Figure was developed by working contractors and estimators to quickly and accurately measure and bid jobs. Drawing on over 80 years of construction experience, Go Figure set out to create a tool that would take the guess work out of pricing and running projects. Go Figure uses photos and a touch-screen tablet to measure a house in minutes, not hours. All the measurements are compiled and priced automatically, and all paperwork, from proposal to stock list to job report, is generated automatically. Go Figure allows contractors to price a job with different products at the push of a button and add or remove items from the job in seconds. Designed to be flexible for different contractors' needs, Go Figure is fully customizable. Go Figure works the way contractors need it to work and the way they expect it to work because it was designed by contractors in the field. ikeGPS announces a new software integration for contractors that brings together Spike, a laser measurement solution, with construction iPad app Go Figure for creating quick, on-the-go estimates.